Popcorn carries special memories for Andrew Bowman. He remembers sitting on his father’s lap and sharing a bowl after Lynn Bowman came in from a long day working on the farm near Oneida. Twenty-five years later, Andrew, a fifth-generation farmer, carries on that same tradition with his own son, Ryker. But the snack now creates more than memories for the Bowman family. It creates profits, too, through their specialty popcorn brand, Pilot Knob Comforts. 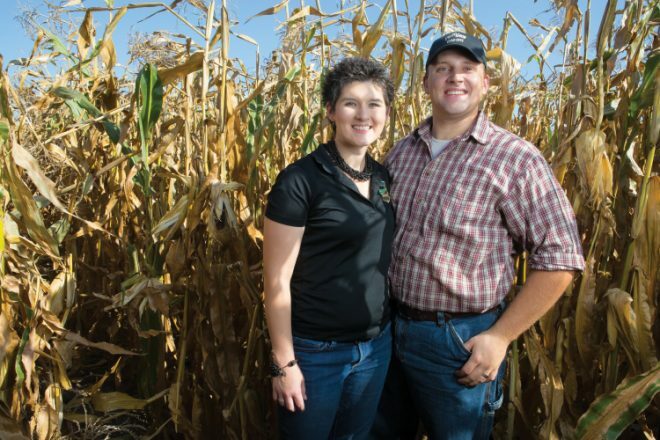 In the three years since the Bowmans made that decision, they have gone from less than an acre in popcorn production to 6 acres to 30. 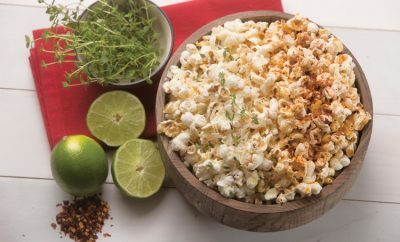 From those 30 acres, they produce nearly 60,000, 2-pound packages of Pilot Knob Comforts popcorn in two varieties – Ruby Red and Shaman Blue. The colors distinguish them. So do the tastes. Popcorn, the official state snack, represents a very small niche in the Illinois corn market. Of the 12 million acres of corn grown in the state, only about 28,000 acres produce popcorn. 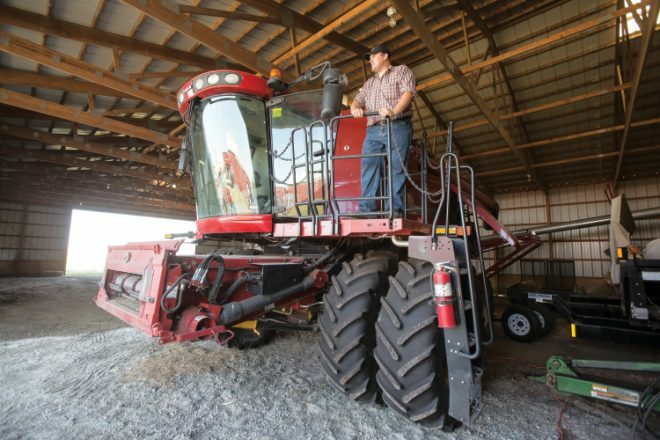 Sweet corn grows on another 18,000 acres. Food-grade corn, used in tortillas, chips and cereals, makes up another small market. All the rest of the acres, more than 99 percent, produce field corn, primarily used to feed livestock, make ethanol and produce biobased fuel products. But the small number of popcorn acres also represents a big opportunity, says Bowman, who grows field corn and food-grade corn in addition to popcorn. 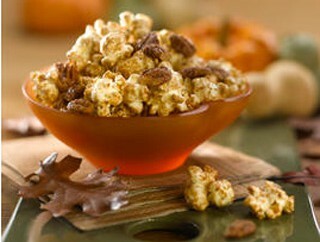 Add flavor to your fall with popcorn recipes. That means finding grocery and specialty stores that will stock it and customers who will buy it. “In addition to growing it and bagging it, we have to create a demand and a recognizable brand,” says Bowman. Connections have helped another Illinois popcorn grower, David King, make his own market, too. 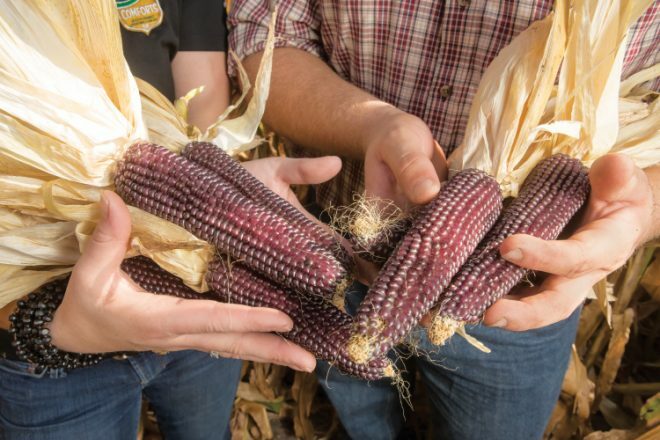 The Morton farmer, who has had a corn and soybean farm for 40 years, grows white, yellow, red and light purple popcorn on five of his acres. He sells his brand, King Country Popcorn, through six to eight local grocery stores and directly to longtime customers. The local Youth Baseball Association can go through up to 800 pounds of his yellow popcorn each year. “It’s a fun crop that people enjoy. I’m lucky to have a lot of loyal customers. For me, it’s more of a hobby, but a very time-consuming one,” King says, laughing. Things are different for Steve Turner, a farmer from Chandlerville. He reserves nearly 10 percent of his 2,800 acres in Mason County for popcorn. Plus, he has a ready market, selling it under contract to Farm Fresh Popcorn in Ridgway. 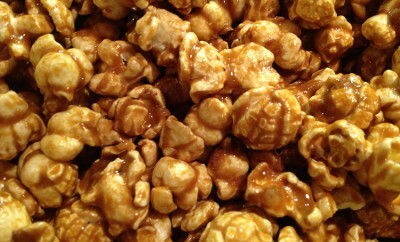 I have been buy popcorn from Yoder’s in Indiana so my next purchase will be from Illinois. I love popcorn. Thanks so much Peggy! 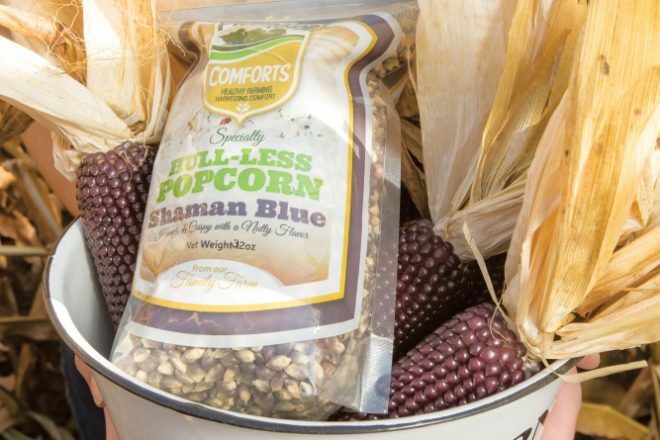 We know you’ll love our Shaman Blue popcorn grown in Illinois! Where can we buy at? I saw a story in Partners quite some time ago. I saved the article.. put it in a ‘safe place’ and forgot where the safe was. Anyway it was about hull less popcorn, so you don’t get those aggravating pieces of hull stuck between your teeth. I NEED to find that farm. I checked with Kane County Farm Bureau but they have no information on it. Hopefully some one out there knows about it. Please contacy me by email. Sorry, should have read the ad in the front… DUH Hull Less popcorn.